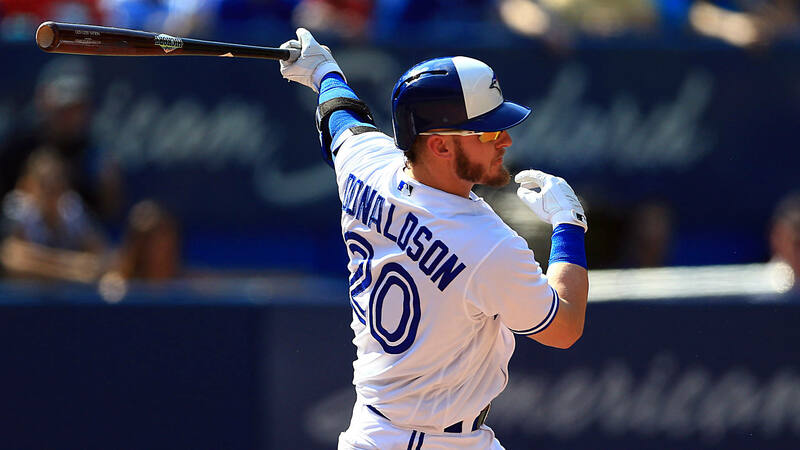 CLEVELAND– The Cleveland Indians have officially placed the newest member of the team, Josh Donaldson, on the 10-day disabled list. The move will be retroactive to Sept. 1. Donaldson was acquired via trade on Friday. The 2015 American League MVP has struggled with injury for most of the season. He played in just 36 games for the Toronto Blue Jays this year, batting .234 (32-for-137) with 11 doubles, five home runs and 16 RBI. He was on the disabled list from May 29 to Aug. 30 with a strained left calf. Donaldson is spending Labor Day with the Columbus Clippers, playing in their regular season finale. On Tuesday he will return to Cleveland to train with the Indians, and then on Wednesday will head down to Akron to play with the Double-A Rubberducks in the Eastern League Playoffs. With his move to the DL being retroactive, Donaldson will be eligible to return to the team on Sept. 11 when the Indians face the Rays in Tampa.